At its most simple, getting better at distance running involves consistently doing the greatest amount of work from which you are able to recover. In this regard, service in the military is the proverbial double-edged sword. On the one hand, military culture respects discipline, hard work, and fitness. On the other, deployments to harsh or restrictive environments interfere with the ability to train consistently. All of this makes Patrick Key’s accomplishments both as a soldier and a runner all the more remarkable. Over the course of a nearly 34 year career in the Army, the Reserve, and the National Guard, Patrick saw combat during the Gulf War, and the Iraq and Afghanistan Wars. He showed early promise running his final two years at now defunct Robert E. Peary High School in Rockville, covering two miles in 9:45 during his senior year. Immediately upon graduation in 1976, he joined the U.S. Army. 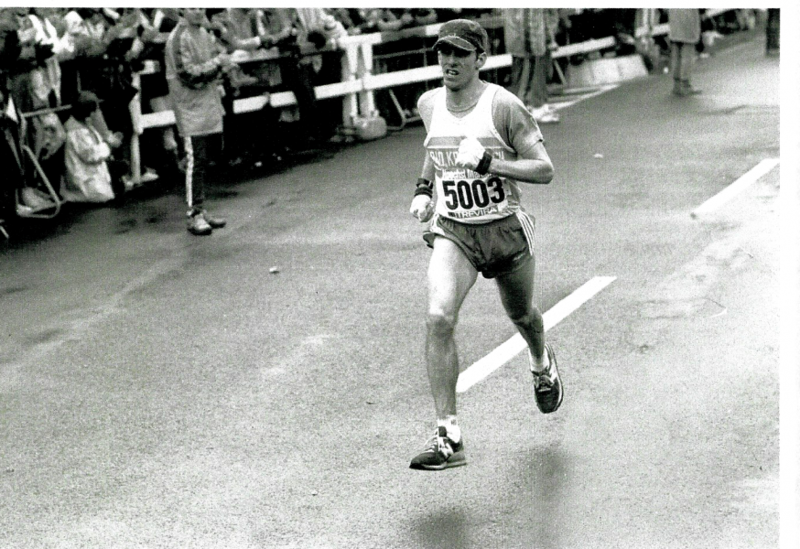 The 1980s saw steady improvement in Patrick’s running, which took off when he joined a training group working under Dan Rincon, a 1974 All-American at the University of Maryland. Over the course of two years, Rincon built Patrick’s mileage from 70-80 miles to 120 miles a week. The results of this work took Patrick to personal bests of 29:10 for 10,000 meters, 48:00 for ten miles and a 2:17 marathon in the late ‘80s. These near elite results place him among two or three area runners who have approached these times. A non-commissioned officer (NCO) in an elite military unit, he has been wounded multiple times over the course of his deployments which necessitated extensive back and shoulder surgeries, as well as a hip replacement last month. Recently retired, Patrick hopes to rehabilitate his hip to the point where he can run the Boston Marathon. 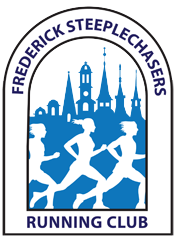 Matt Adams won the “Buck Elliott Memorial Half Marathon” held at Fort Detrick on September 28, 1997. His time was 1:15:35. Other Steeplechasers of that era included Frank Kurtz (2nd), James Moreland (5th), Michael Sardelis (7th), Tom Gula (8th), and Brent Phillips (10th). Lynn Bridges carried the women’s race in 1:30:42 with Barry Salisbury (2nd), and Linda Boring (3rd) placing near the front. 162 runners finished the race. Tim O’Keefe is ranked 12th nationally in the 3000-Meter Steeplechase among men aged 40-44, according to the “U.S. Masters Track & Field Rankings” for 1997. He has a time of 11:59.39.